Performa is a linear spraying machine for painting mouldings and narrow boards. Available in 3 different configurations. 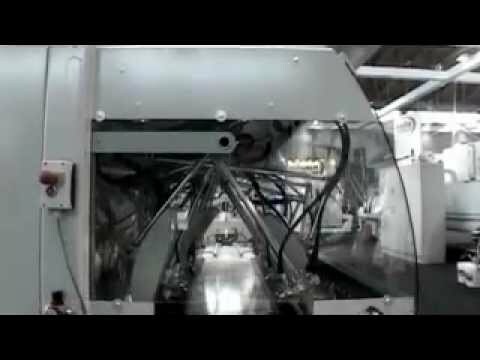 This Performa configuration features an entry and exit conveyor belt system and a system of rollers which feed workpieces through the spraying zone. It is equipped with 8 spray guns subdivided into 2 product circuits and a dry filtration system. It has a working width of 300 mm and is perfect for applying water and solvent-based stains and paints. Performa 28 Belt has a continuous conveyor belt system for transporting workpieces and a paint recovery system. It is equipped with 8 spray guns subdivided into 2 product circuits and dry filtration. It has a working width of 240 mm and is also available in the 400 mm version. Perfect for applying water and solvent-based stains and paints. This configuration is the ideal solution for applying 100% acrylic products. It is equipped with a continuous conveyor belt system, steel filters and a patented paint recovery system. Equipped with 6 spray guns on a single product circuit. It has a working width of 240 mm. Performa Roller: roller conveyor system; working width 300 mm. Performa Belt: conveyor belt system; working width 240 mm or 400 mm. Performa UV Belt: for application of 100% acrylic products; conveyor belt system; working width 240 mm; patented recovery system. Flexispray is a compact linear spray machine, perfect for applying water or solvent-based stains and paints to mouldings, narrow boards or dismantled window sections up to 240 mm wide. It has a roller and belt conveyor system and is equipped with up to 6 spray guns, subdivided into 2 product circuits. The Cefla range of in-line ovens also includes a configuration specifically created for drying paints applied to mouldings and narrow boards up to 300 mm wide. RSP is the compact distressing machine fitted with metal and tinex brushes or abrasive strips which highlight the grain of a plank of wood. The core of this innovative technology is high-precision, uniform application of a coating on a predefined area. Inclusion of UV lamps guarantees complete and ultra-fast cross-linking, even at very high operating speeds.